Mark’s Cleaning Services is a company dedicated to cleaning in Balham SW12. Our business is high-quality and very professional. We know a lot about this sector because we have vast experience with home care. We take pride in cleaning services, which are quite versatile. That is, we provide lots of cleaning options for rented properties and homes as well as furniture, appliances, and carpets. Plus, we deliver all the necessary equipment and do the cleaning on schedule. Our teams of cleaners are hard-working and attentive. You are going to like them. If you have more questions, make sure to check out all the information we have provided below. 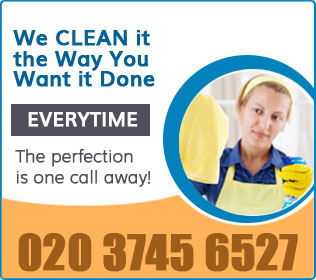 Over the years we have offered trustworthy and professional cleaning services in Balham SW12. We know it’s not easy to let strangers on your premises, especially when they have to clean your personal space. But don’t worry. We have proven that our cleaners are worthwhile. All our employees are supervised during the cleaning sessions, not to mention, we always make sure they are background-checked. What’s more, every cleaner undergoes comprehensive training before he or she begins cleaning clients’ homes. We teach them how to be more effective and how to apply different methods. We also show them how to use our cleaning equipment. Speaking of which, it is very effective and professional. All our cleaning products are non-toxic and they are fully biodegradable. There is nothing to worry about. Our services in Balham SW12 have many advantages and benefits. For example, it’s a good thing that you can choose a date and time for your cleaning appointment. This allows you to squeeze in our service whenever it is most convenient for you. Note that you can even schedule for the weekend. We are at your disposal and we believe you will be delighted, no matter which service you select. Give us a call.